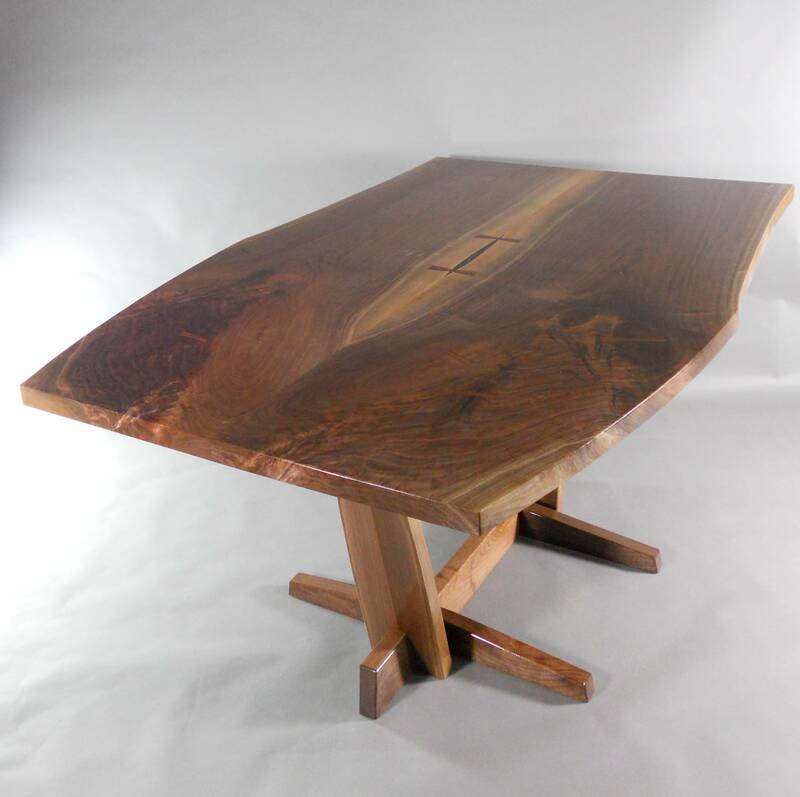 I was lucky enough to be asked to build a small George Nakashima style Conoid style walnut dining table this past fall. 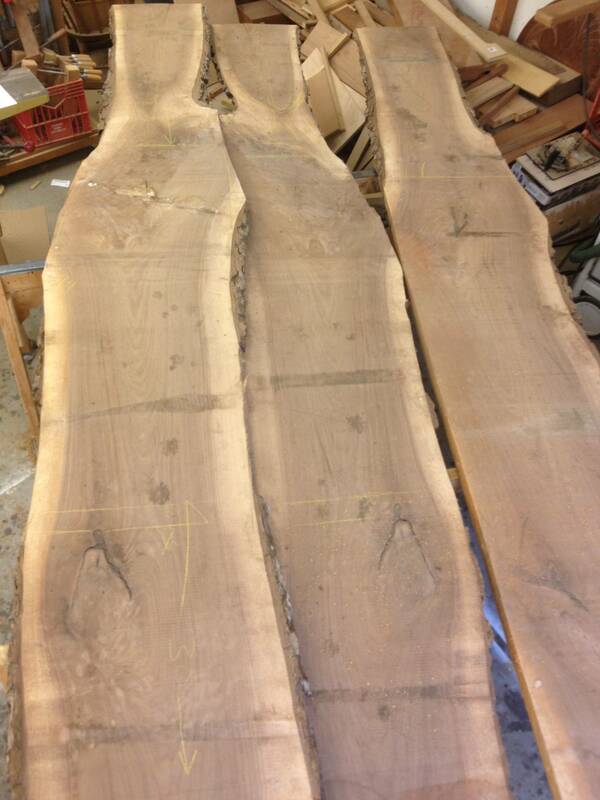 I have always admired the work from the Nakashima Studios and jumped at the chance to immerse myself in the project. 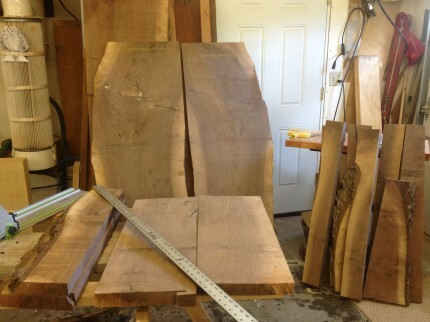 I know a guy who runs a small bandsaw mill nearby with a stack of thick walnut slabs. I brought three 24″ wide 10′ long planks back to the shop. There is a lot of enjoyable planning and thinking with every move to build a project like this. These boards have a lot of natural features that might be considered faults in other styles of furniture but here the knots, splits and infused bark are a part of the beauty. 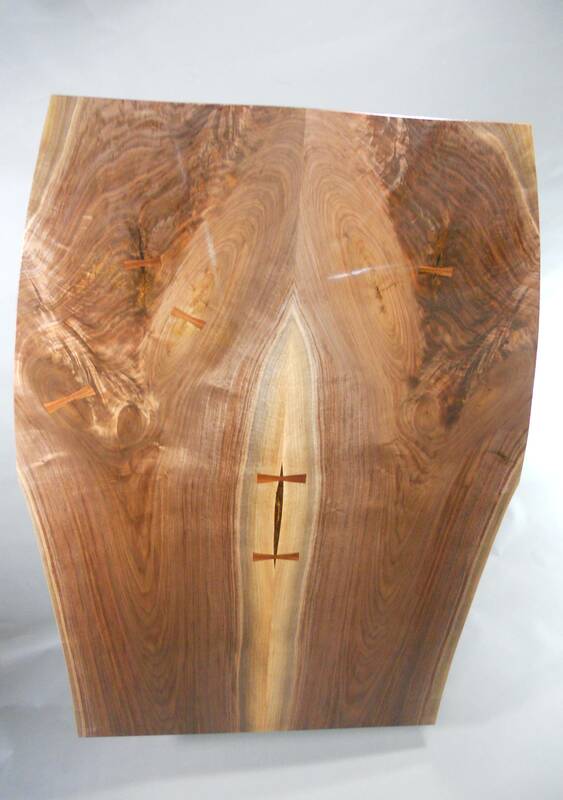 We inlay bow-ties or butterflies over some of the active fissures to reinforce and add to the table top. The base is simple design with the angled uprights. 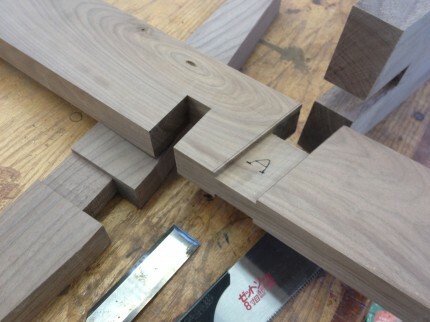 The joinery has to be accurate and tight. This table is 44″ wide, 62″ long and 30″ high, perfect for smaller dining areas. a top view look at the book-matched table top. Looks like an amazing piece. I’ll have to look up George Nakashima style. The photos make me want to see it in person.